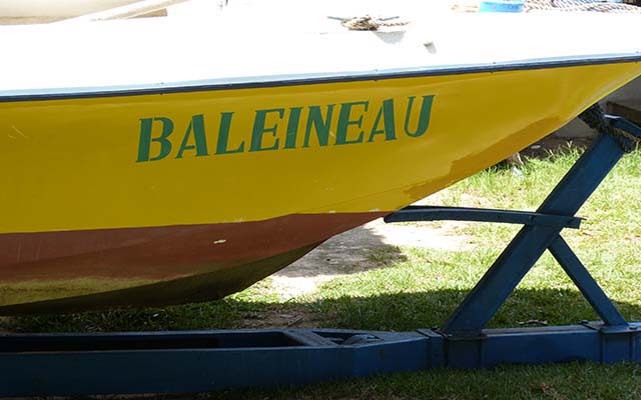 Situation : whales are mainly in the Sainte Marie. 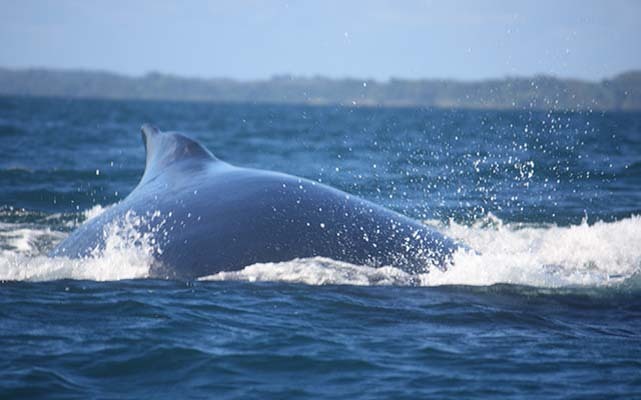 Feature : whales come to give birth in this place, élever leur baleineau, puis se reproduire. Whale Festival of Saint Mary : It takes place on 4 days each year to the 14 juillet. 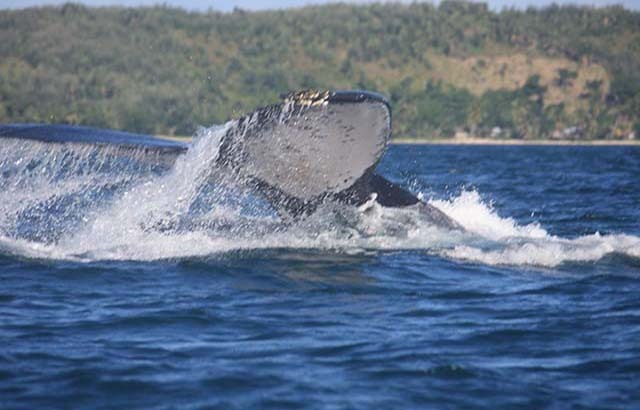 The great attraction from late June to mid-October is the arrival of humpback whales in the Sainte-Marie. These cetaceans, measuring up 15 meters 40 tonnes, are migratory. From Antarctica, where they feed, humpback whales spend the winter around southern coast of Madagascar. 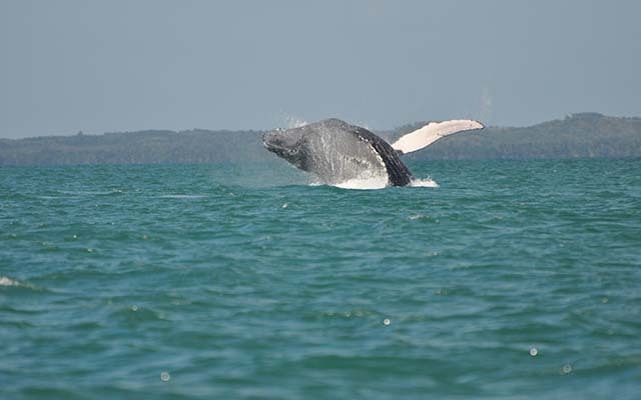 Each year, they travel over 5000 km to calve and breed in warmer waters. Observable from the beaches, they are thousands to ensure the show to the delight of lovers of cetaceans : love parades, singing males and birth of calves. When the season ends, young calves accompany their mothers in the channel and prepare quietly to migrate to the cold Antarctic waters, their feeding ground. These are 2000 to 3000 whales reach Sainte-Marie each year to the same period. Hotel Sainte-Marie Lodge is very well located as it is in the narrowest part of the channel and thus, we can even observe the beach. Our boat "The Whale Calf" is always ready to go as soon as they appear to approach whales closer still . Bertrand or our pilot, you will discover whales and calves playing together in the waters of St. Mary. After the boat will take you a few miles farther to observe other. As a partner of CETAMADA, an eco-volunteer host a conference on whales and answer any questions you may have about these famous whales !!! We offer better than conventional output Whales! The boat is available all day, with output in the morning and the afternoon exit, but also the possibility to leave at any time to join a group of whales that we would go off.